Sometimes, when I get ready to speak in front of a huge room of people, this little voice inside my head pops up and says. “Who do you think you are to be in front of these people? You don’t have anything all that insightful to say. They’re going to find you out. You will once and for all be exposed for the fraud you are.” It can get pretty harsh. Fortunately, that voice doesn’t pop up nearly as much as it used to, and when it does I know how to kick it to the curb. One thing's for sure, I’m not alone in this. Often, when I am coaching an agile coach or working with one in the classroom, they have trouble accessing answers to some of the questions I ask them. Questions like, “What are you proud of?” or “What needs to be celebrated?” It’s not that there is nothing to be proud of or to celebrate, it’s more likely that the person I am working with is dealing with a feeling of inadequacy that has them downplay or outright deny their successes. They’ll say, “Nothing.” Or, even a more insidious form of sidestepping, “I don’t understand your question. Could you rephrase it?” About the third time I ask a question like this and hear anything but what they did well, I start to wonder if the person is dealing with something called Imposter Syndrome. Imposter Syndrome is psychological phenomenon in which people are unable to internalize their accomplishments. Despite external evidence of their competence, those with the syndrome remain convinced that they are frauds and do not deserve the success they have achieved. Proof of success is dismissed as luck, timing, or as a result of deceiving others into thinking they are more intelligent and competent than they believe themselves to be. Notably, impostor syndrome is particularly common among high-achieving women. Interesting that the research calls out women. While that may be supported by some study or another, my experience is that it Imposter Syndrome just as active in men. 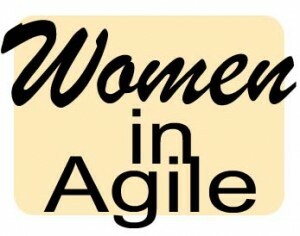 In fact, most of my experience in coaching people through Imposter Syndrome has been with male agile coaches. The sample sizes are too small to draw a strong conclusion, so let’s not make too much of the gender angle. Let’s just say that anyone can fall into the Imposter Syndrome pattern. I believe that it’s coming up so much in my students and coaching clients because the nature of working agile constantly throws us into new and often contradictory mindsets when compared to the dominant industrialized-mindset prevalent in so many of our organizations. It’s easy to feel like a fraud in this situation, made worse by the demands of an ever-increasingly complex world where it’s not clear what to do or even what success means. It can have even the most confident start thinking, “I’m not up to this. They are going to find out that I have no idea what I’m doing and then I will be exposed for the fraud I really am.” (or your favorite version of this sentiment) The difference is that the some will bounce back from this unwelcome thought while others will start to wallow in it, wading into the depths of Imposter Syndrome. Half-way through an agile coaching class I’m co-leading, invariably a student will come to me and ask, “What class do I need to take next?” They’re not even done taking this one, much less practicing what they learned! While I sense their urgent thirst for knowledge, most times when I ask a few more questions I start to see that the person in front of me is in acquisition-mode. Operating under the belief that if they just acquire more knowledge, more models, more ideas, more, more then someday they will know enough to feel like they are a real agile coach. That there will be some magical time in the future when they have gained enough knowledge to “arrive” and feel that they finally deserve the position they are in. All cheekiness aside, I take Imposter Syndrome seriously. It has been a common companion to many people I’ve been working with. Imposter Syndrome can freeze up an agile coach in the belief that no matter what they try, there is always some way they should have known better or should have been better. It can also grind a coach down, because even when successful, the coach will chalk their experience up to “dumb luck”, not realizing that their success is actually due to skill and, therefore, repeatable. Finally, the constant pursuit of knowledge can have a coach act only from the information in their head, cutting them off from the powerful example their being can offer. 1. Get coached. A professional coach is the most surefire way to keep Imposter Syndrome at bay. Many agile coaches now have professional coach training, so ask around. You can also find a straight-up professional coach through the International Coach Federation. Deborah Hartmann Preuss, an agile + professional coach, has also created a beautiful self-coaching book, You Can Design a Bigger Game. 2. Tap into the essence energy.The light side, or useful essence energy of Imposter Syndrome is bowing to the reality that one can never know enough for every situation coming down the pike; that being humble in the face of ever-changing complex situations can be a useful strategy. So instead of throwing the baby out with the bathwater when overcoming Imposter Syndrome, try incorporating this useful aspect while saying “no, thanks” to the dark side of Imposter Syndrome. 3. Get inspiration. How about having a source of inspiration at your fingertips? 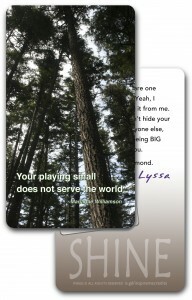 That’s just what I envisioned in the creation of the InspireMe! deck. It’s a selection of the 60 best inspiration emails I have ever sent, put into card form so you can have them at the ready when that Imposter feeling strikes. The cards offer a word of advice to help you take that next step, a reminder to stop and appreciate what is already going well (and insistence that you do so), or a challenge that spurs you into action. Through these cards, I am with you, on the days that you recognize your abilities and on the days that you start to think the Imposter has it right. 4. Access your inner superhero. I love helping people find their inner superhero, and have particularly enjoyed the #itwasneveradress movement which is aimed at empowering women in tech. Yes, this one is for you, ladies! Put on your capes and kick that imposter to the curb! 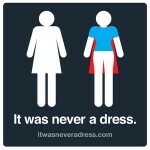 And, everytime you go into the ladies’ room, remember that your cape is showing! Wear it proudly. 5. Coach others. For those of you proficient in professional coaching skills, and who coach folks working with Imposter Syndrome, you can find insight and many more professional coaching approaches in The Coach’s Casebook by Geoff Watts, agile and professional coach, and co-author, Kim Morgan. To men and women alike, let’s don our capes! The Agile world needs us to be fully authentic, which includes claiming the ways in which we are intelligent, competent, skilled, visionary, courageous and most of all...deserving. I can't believe it! I actually met the women behind #itwasneveradress at the Agile 2015 conference! They are all for this post. Here I am getting my cape on with my Agile friends, @t_broderick & @netgoddess.